Emmaline is a refined yet laid-back interpretation of an American Trattoria, the epitome of the neighborhood kitchen, delivering on the vision of a unique to Houston all-day dining experience. 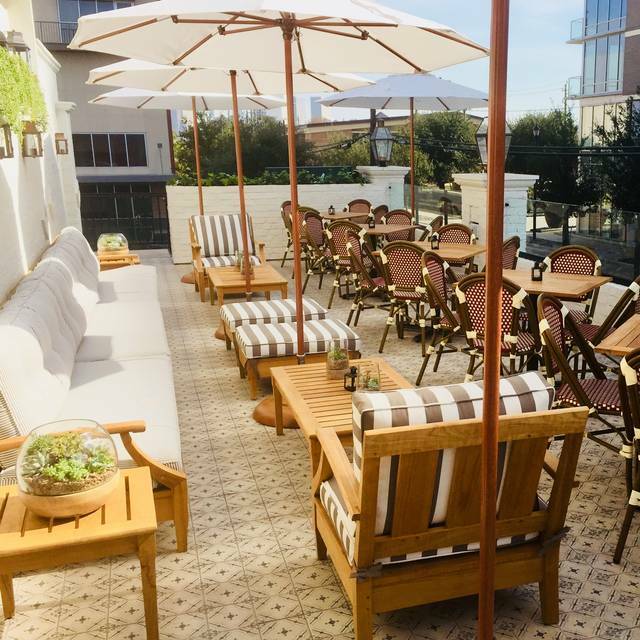 Its energy and feel is inspired by the foresight of what Houstonians deserve – an approachable neighborhood restaurant that possesses a sophisticated ease yet an unpretentious and genuine spirit of vibrant, positive energy. 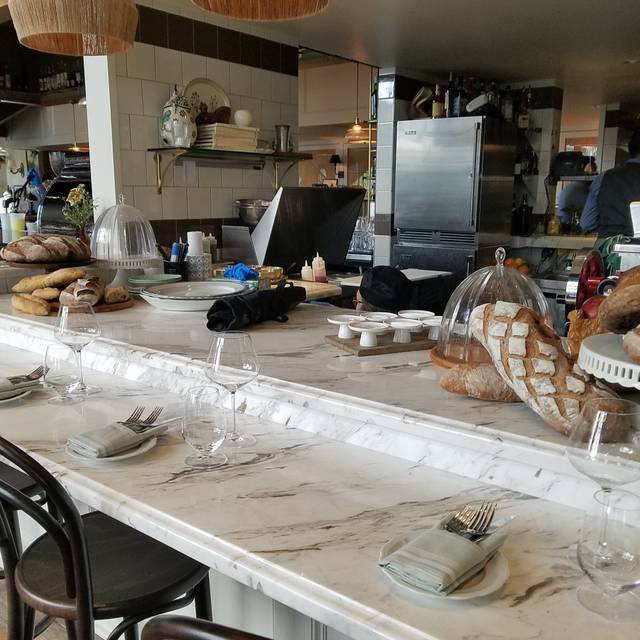 A diverse, yet simple menu driven by traditional ingredients presented in small shareable plates will also deliver American classics with European refinement in its larger plates, pastries and wine and cocktail program. Took long to get seated and even @ 2 PM it took long to order lunch. My wife and I enjoyed a great experience at Emmaline. The food was imaginative yet classic. 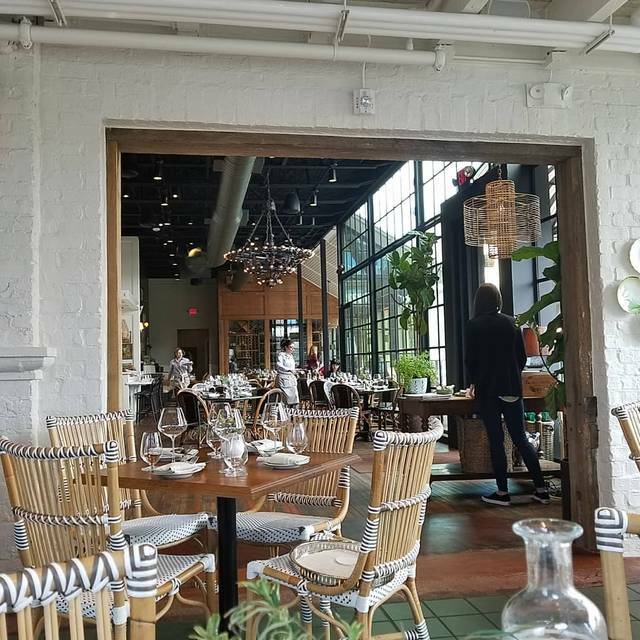 The atmosphere was casual upscale, but not stuffy. The service was very good. The wine selection is more extensive than not and the Sommelier was attentive and conversant. Great spot for a group of friends or a night out with someone special. We will return. Great place with good ambiance. Loved it! I've been twice in less than two weeks. The decor and layout are very nice. You can sit at the bar or at a bar in front of kitchen prep area where they are slicing prosciutto, et.al. We The pancakes were delicious. The eggs benedict was fine but the potatoes that accompanied them were amazing. Our waiter was super but the pace was slow for my particular taste. It was wonderful. There was a special event and our wait was long. We decided to just sit at the bar. The manager treated us amazing after that. Because we helped by sitting at bar, we got an appetizer, a drink and two desserts... None of which we asked for. We had not complained at all. They just wanted us to be happy. We loved that place before... But they won us over as regulars!! Nice atmosphere but we waited an 1hr 1/2 for our table booked for 8pm! River oaks crowd made it an exciting place to have lunch. Fantastic Food, the ambience is amazing!! Becca was very attentive and Dessert was Divine!! I like the restaurant, and have eaten here many times. Unfortunately, this was the most lacking experience to date. The wait staff seemed to be running between tables, they were possibly understaffed that day? I had to ask for a soup spoon after my lobster bisque was served, and was brought a teaspoon; the spoon was replaced with a soup spoon after I flagged down my waiter. The food was very good, as always, although I must admit I've never had lobster bisque without any pieces of lobster meat in the soup. We went for their Sunday brunch and a had a great time. The restaurant is charming and the decor was on point. We decided to order several plates and share instead of individual entrées, and recommend the prosciutto and asparagus dish, and the fancy toast. Their desserts were also amazing- I could eat their dark chocolate espresso tart daily. On the cocktail side of things, I highly recommend their version of a Pimm’s cup. Added bonus: Our waitress was amazing! They took great care of us! Great wine and great food. T His was our second try for this restaurant, The first did not live up to its ratings in food or service. THIS MEAL WAS excellent. So we ordered different dishes. we had the Rocket salad -best arugula salad every by far, the eggplant appetizer, and the Cioppino stew and with Asparagus. The chocolate torte was very smooth and lush chocolate and had crushed chocolate to swish it across and smooth for desert and a great finish to the meal. Now we see the rating earned. WE love the ambiance and the look of the french brassier look casual but elegant. We walked from stages theater which is almost around the corner. Lovely decor and ambience. Waiter was very attentive until he got busy and then he made mistakes. My friends hanger steak had no taste so I know we won’t be back. This was our first visit to Emmaline. We were really impressed by the environment, attention to the customer, quality of food, and pricing. 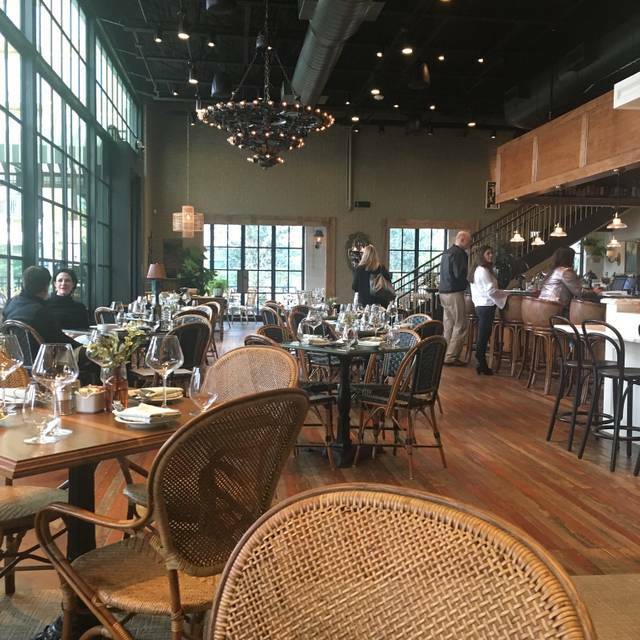 Emmaline is an upscale restaurant without feeling stuffy. We will definitely be back. Excellent food, service, ambience. I had the lamb pappardelle. The meat was so tender. Would highly recommend. Wonderful Southern charm! Delicious food. The mussels at brunch were outstanding, and the cocktails were amazing too! Can't wait to come back soon! The service was awesome, the food was fantastic and the sommelier attenuative and professional. Definitely recommend this place and plan to revisit soon. Some of the best food we’ve had in ages. The flavor combinations are spectacular, and our server was friendly, warm, and approachable. 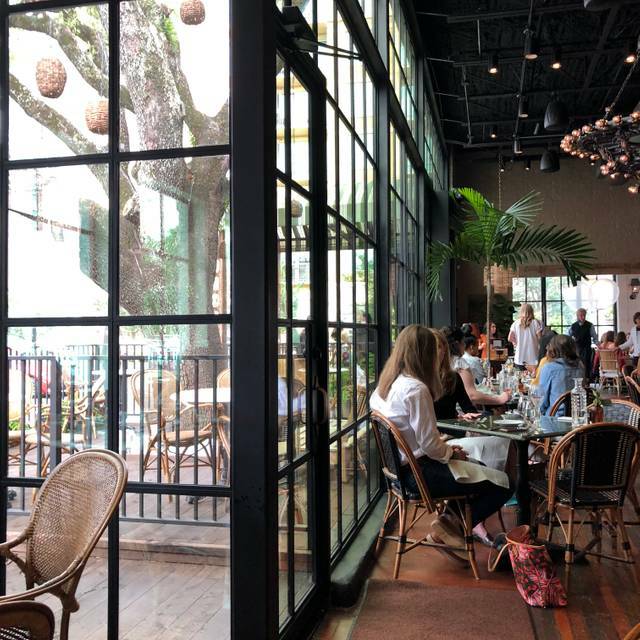 Definitely on our top-ten Houston restaurants list. Excellent place for both lunch and dinner, a bit pricey but delicious! The seafood was delicious. I had lobster pasta with squid ink. The wine list has standbys and some esoteric picks at reasonable prices. I paid a very reasonable price for Patz and Hall Dutton Ranch chardonnay, but they have wines in all price ranges. Service was friendly and attentive. The house-cured salmon was wonderful. The only thing keeping it from perfection from my perspective was the high noise level, but some people seem to like that. I am very thankful to Craig who accommodated my request to dine upstairs. Service was not good! We had 3 waitress serving us. Disorganized! We came for brunch. Great first experience. Charles, our server, enthusiastically suggested personal favorites. We will come back for dinner. The service was horrible! Very inattentive. The food was average and they segregate the dinning room according to age. 29 and under sit in the prime seats near the bar and everyone else is in a separate dinning room. Very disappointed! I had one of the worst dining experiences I have ever had at Emmaline’s. I had been to this restaurant twice before for lunch but this will likely be my last visit. Our waiter left us sitting for 15 minutes after he gave us the menus without checking to see if we were ready to order then after ordering disappeared or totally ignored us. He came into the room where we were seated several times and waited on a couple in the corner but never came to our table to see if we needed another glass of wine, water, iced tea etc. Our reservation was at 6:15pm and we told him we needed to leave by 7:30 pm for the theater. He said that would not be a problem. We soon realized it would be a problem when at 7 pm we still didn’t even have our salads. We then talked to the manager who had the nerve to try and defend the waiter saying that he must have been busy, although he had been in our room several times waiting on the table next to us. The manager offered us another round of drinks, which never came, and went to the kitchen to check on our food. He came back a few minutes later saying that the situation had gotten worse because he found out that the waiter had not even submitted our salad orders because he was confused about what we wanted! At that point we just got up and left!! To add insult to injury the valet parked my friend’s car under a big tree full of birds so I don’t have to describe what was all over her car. We felt we got treated the same as the car by Emmaline’s ! 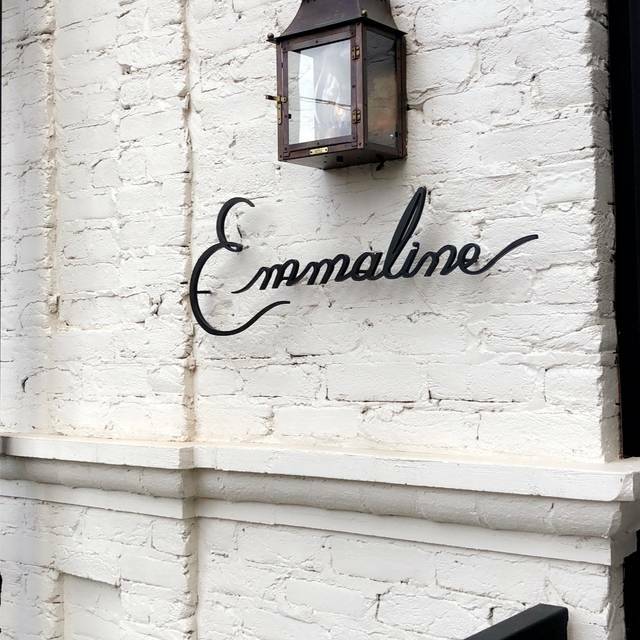 Our experience at Emmaline was very disappointing. The service was inept and inexcusably slow. The mussels were excellent. Everything else was okay. Definitely won’t be back. Great brunch atmosphere. 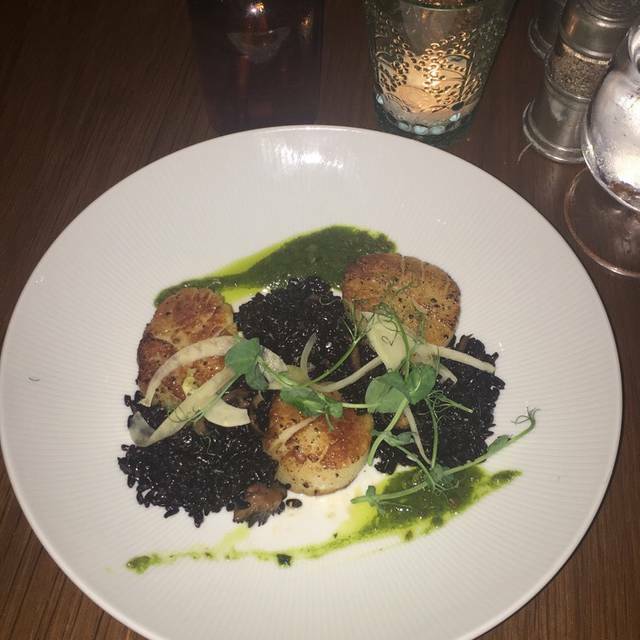 The food was excellent, service was great, will definitely be back. Little loud but overall a really fun spot for brunch or parties . Definitely will be back! Negatives: we arrived early for our reservation and were told we had to wait. Not a big deal, we had a drink at the bar, but when the time of our reservation arrived and they didn’t come seat us I went to ask. They had forgotten we were there and sat us at a table that had been open the whole time. Service was accurate and very nice, but VERY slow. We were seated around 12:50 PM and didn’t get food until 1:45 and didn’t pay and leave until 2:30. Positives. The food was Awesome, and the atmosphere is super cute and fun. Beautiful restaurant, live DJ played at the perfect level, great people watching; and did I mention the food? We will definitely go back, but I think I will walk in and dine at the bar. Faster service with all of the other perks. Free valet was also very efficient. Restaurant has a very nice ambiance. However no one in our group thought the food was anything special. Professional service. Delicious food. Lovely place to gather either indoors or out! Wish they were in the Villages!! I love the cozy, "welcome home" feel of Emmaline. 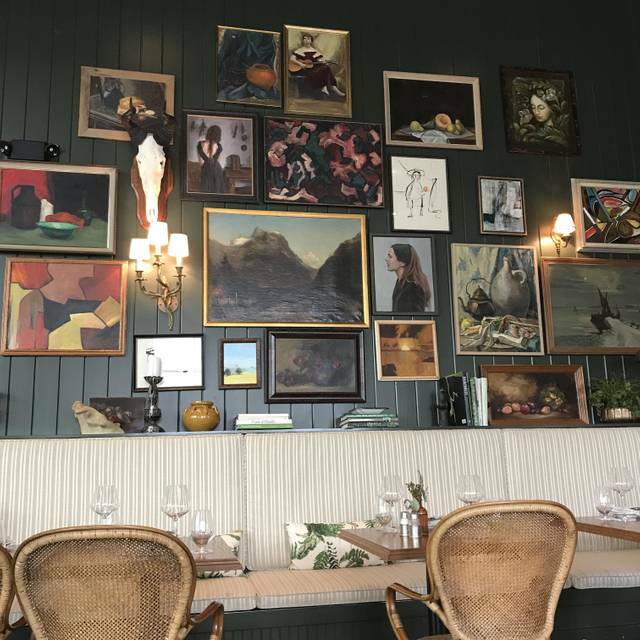 It was like having lunch at a relative's home with the eclectic collection of paintings on the wall and antique furniture pieces throughout the dining area. The floor to ceiling windows offered plenty of natural light and made the dining area feel very open and inviting for our brunch gathering. The staff was very welcoming and offered helpful suggestions - this was our first visit to Emmaline. The food was great - the scones were delicious alongside a cup of black coffee and everyone loved the hanger steak. I am excited to go again to try more options on the menu. The original intent for our visit was to scope out a ceremony/brunch reception venue for our wedding and I think we found it! 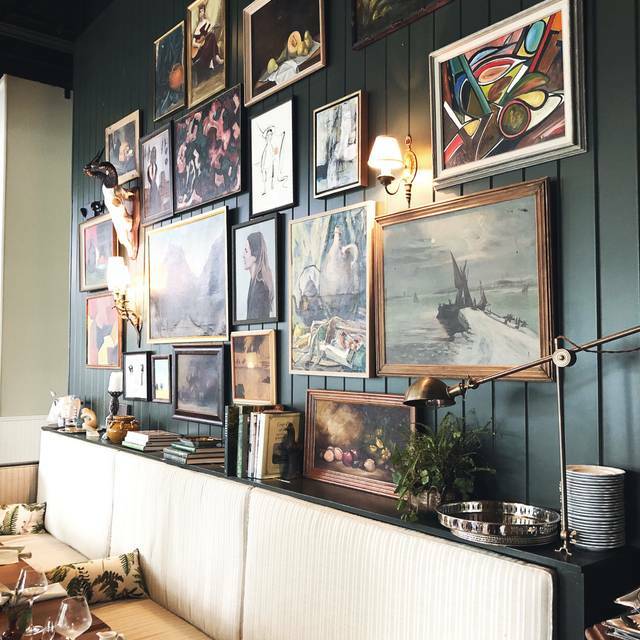 We may have just found our new favorite restaurant, too! Delicious food! We will be back. Music is a little loud to talk over for Saturday brunch.